Kyle’s new postdoc position comes with a benefit neither of us have ever had before – access to a 401(k). (Okay, it’s a 403(b) because it’s through our university, but I’m going to call it 401(k) in this post.) However, we have (mostly) decided not to set up contributions to it. I’ll tell you our reasoning and then you can let me know if we’re missing anything and should change our decision. 1) Workplace plan up to a match. The reason that the IRAs come before the workplace plan generally is that we have full control over how money in an IRA is invested, but with a workplace plan we would be limited to the funds offered by the employer, which might not be exactly our preferred choice or more expensive. However, free money (the match) is worth it even with slightly lower/non-optimal investment returns. But the deal is that our employer isn’t offering a match to Kyle, which means that our first priority is to max out our Roth IRAs. How Much to Max Out IRAs? We have maxed out our Roth IRAs in the last two years, but we had to roll over contribution room to do so. So we have proportionally more contribution room left for 2014 than we should just to max out this year. As of the beginning of July, we have $7,450.93 in contribution room in our IRAs for 2014. I tallied up the paychecks that we can anticipate receiving through the end of the year (assuming Kyle stays at his current position that long). For each paycheck, I wrote down what we expect to save for retirement. Right now we’re saving about 17.5%, but once I’m no longer receiving a paycheck we’ll drop the saving rate from Kyle’s postdoc paycheck down to 15%. All that together only adds up to $5,205 in contributions in 2014, or $2,245.93 in contribution room left. I do plan to earn some money in September and following (my last day of work at my university is August 31). As with all of our extra income, I want to save 15% of it toward retirement. To use up all of the contribution room calculated above, I would have to earn $14,972.87 in the course of four months. I don’t want to be negative about my own abilities, but I would be quite shocked if I earned that much. My goal is only to earn about $5,000, and even replacing my current salary wouldn’t come close to $15,000. If I do earn more money than my goal that’s great, but it’s probably not going to be enough to max out our IRAs at our desired savings rate. If I earn more than $15,000, we can start contributing to the 401(k) or I can open a retirement account for self-employed individuals. The main types of income I’m striving for in the fall are self-employment and if they continue into 2015 and beyond it actually would be good to have a retirement account I can contribute to for that income. My unfounded guess is that Kyle will move on to his “real” postdoc around the first of next year. However, if he ends up staying at his postdoc at our current university into 2015, we’ll probably start contributing to his 401(k). Our income should be a lot higher in 2015 than 2014 so I’m hoping that the Roth IRAs won’t be sufficient to cover the 15% we want to contribute. Google didn’t answer this for me – which makes me think that this is a dumb I’ve-never-had-a-real-job question – but I’m assuming Kyle can set up a contribution to a 401(k) at basically any time after he starts. There’s not like a once-per-year open enrollment period for retirement plans, right? It feels strange that we finally have access to a workplace-based retirement account but that we aren’t going to take advantage of it! But there really doesn’t seem to be a reason to deal with the paperwork of setting it up and then rolling it to a (Roth?) IRA in just a few months when we could just keep it up with our current Roth IRAs. If you were in our situation, would you start contributing to a 401(k)? 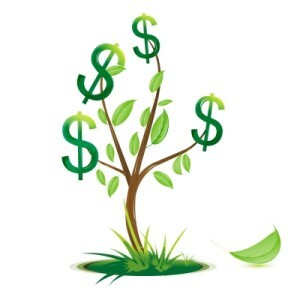 Do you have a match with your employer, and if not do you have a retirement account with them? 28 Responses to "Why We Aren’t Contributing to Our New 401(k)"
This often depends from plan to plan. Some are open all the time, other have open enrollment periods like for changes to your health care plans to minimize the time that HR employees need to deal with this kind of stuff throughout the year and focus it all into one period. While your tax bracket is still low, it makes sense to put the focus on the Roth, heck or even taxable investing if your tax rate is near 0%, and leave a 401K or 403b for when you are both higher earners and a 28% or 33% marginal tax bracket is worth avoiding via 401K. Mrs. PoP recently posted..Happy Friday – The Happiest Commute? Hm, I’ll definitely have Kyle check if the start of his employment is our only opportunity for a while to enroll in the 401(k) and how quickly we can change the contribution level. If our next opportunity would be January, for instance, we might still not enroll, but if it’s later, maybe so. I definitely would prefer the Roth option right now, but I’m really thinking more about the contribution room than what exactly the investment type is. I’m trying to think long-term about the growth rather than short-term about the tax rate – our capital gains rate won’t be 0% for much longer. But in terms of the paperwork to roll the 401(k) and then convert it to a Roth in only a few months, it might be better to just go for some kind of SE retirement plan if necessary. That sounds like what we would do too, put money in a (Vanguard) Roth IRA at least until that is maxed out. It fits with the advice we gave an ask the grumpies a week or two ago. My uni allows us to open (or stop contributing to, or change contributions to) a 403b at any time. But it’s a question to ask his HR department. That seems reasonable to me. Plus, if he’s only going to be there for a few months it’s another account to keep track of for 40 years in the future (assuming they don’t cash it into a LIRA when he leaves). At my employer (also a university), we have up to a year to enrol in the pension/RRSP plan, and if we’re not enrolled by then we are forced to. But since there is a killer match, I cannot imagine anyone actually not signing up fairly quickly. Basically, as long as you have your paperwork in for the beginning of the month you’re set for that months contributions. Alicia @ Financial Diffraction recently posted..Why I Am Not Changing Apartments. We would roll the account to an IRA when he leaves, so it would probably only be open for a few months anyway. That’s sweet that you have such a good match. I bet people don’t sign up, though. They should default you into it! Consider carefully the backdoor Roth IRA before rolling over any 401k, 403b, 457b to an IRA. Since both you and Kyle will sometime in the future have a reasonable expectation of earning a good deal of money, you should keep this in mind. Yeah, we would most likely do the Roth. We would have to have a huge income increase in 2015 to make the traditional worthwhile. It seems fair not to contribute if you’re not getting a match. Just do what you are doing and try to max out the Roth first. But once you’ve maxed out the Roth, think about it because it can lower his taxable earnings. We’re not interested in lowering our taxes because we’re in the 15% bracket. If we had to go traditional just to get more money into tax-advantaged accounts we would, but if there is a Roth option we’ll take that for sure. Once we get to the 25% tax bracket we’ll probably diversify. Your logic seems very sound! The one thing that might be worth checking is what fund options the 403b has available. Usually they aren’t great. HOWEVER, if your employer is awesome they may have negotiated access to funds that normally require a high minimum. I’ve seen plans that allow you to buy into institutional class shares (super low fees) that would normally require $100k minimums. Otherwise, yeah, if you are eligible for IRA deductions and you aren’t going to contribute more than $11k (5.5k * 2) then there’s no reason to go 403b over IRA. It looks like the fund we invest in currently in our Roth IRA is an option through the 403(b), but I’m not sure if the expense ratio is the same inside and outside of the plan. Do you know if they would be different or the same (is it determined by the brokerage firm or does the employer add some fees?). That would be awesome if we could get some Vanguard Admiral shares as we don’t have enough saved yet in our IRAs to do that on our own. Fees within 401K plans are often a little higher than those you would get directly through a brokerage since the plan administration costs are often built in. If your employer pays those separately or if there are enough assets in the plan to make it worth the while of the brokerage housing the plan to waive the fees, then they may be the same, though. Hmmm. I wonder how I can find out what the ER is as it wasn’t listed in the “plan comparison” literature. Maybe Kyle would have to enroll first? In any case, if we can do a Roth AND the ER isn’t higher inside the 403(b), it only equals what we can do with the IRA, doesn’t exceed. And probably it doesn’t equal it. He shouldn’t have to enroll first– that information should be available. That’s super exciting that Kyle has access to a 403(b) now! But so long as you’re in the 15% tax bracket, I wouldn’t contribute to your 403(b) beyond the match anyway unless there is a Roth option. And you’re right, that you should contribute to the Roth IRAs first. My 401(k) actually has access to many Vanguard funds at cheaper than Admiral shares ERs. You can’t get Admiral shares funds in a non-personal account, but you can have Signal/Institutional versions of the funds. It’s pretty sweet! Even our target retirement funds are dirt cheap. My employer has some match, but the tax savings on contributing the full $17,500 to my 401(k) is much more valuable than the match. I think there is a Roth option, actually. That’s awesome about the lower Vanguard ERs. I hope our next workplace-based retirement account has those types of options as well. If my savings was limited and I didn’t get a 401k match, I’d probably go for the IRA too. If you do make money on the side, I’d highly recommend looking into a SEP IRA. Last year I made enough money to start one and it offset my taxes by quite a bit. Plus I was able to do it while also contributing to my 401k and IRA! That’s awesome that you could fund all 3! Thanks for putting a word in for the SEP IRA. I may look into all the types of plans more this fall. Generally speaking, a solo 401k lets you contribute more income at lower income levels and works out to be better for self-employed income. The SEP IRA contribution limits are a bit complicated, but your contributions are up to 25% of your income, with a cap of $52k in contributions. A solo 401k lets you contribute 100% of the first $17500 for you as an employee, and then 25% of self employed income as an employer. The solo 401k also has a $52k cap on contributions. 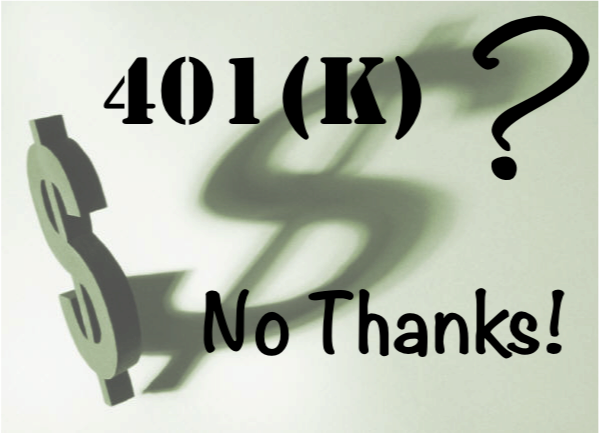 Despite the name, the solo 401k can be for a person and his or her spouse. It looks like you have it all figured out. 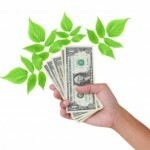 Max out your Roths but if you have money left over try to contribute to your 401k. It’s still nice to get confirmation from the readers. I hope we will have the excess funds, but it’s unlikely.